Apple’s “hello again” event, hosted at Town Hall in Cupertino campus, featured the new MacBook Pro with Touch Bar and Touch ID that has been talked about for a number of months now. That notebook will definitely appeal to those professional users looking for form, function and power, but Apple also used the same event to introduce a new entry level version of that 13-inch MacBook Pro to make it more affordable. The first thing to note here is that, yes, this is still the new MacBook Pro. And yes, it does come equipped with the Pro moniker as part of its name, but it comes with a few major compromises. 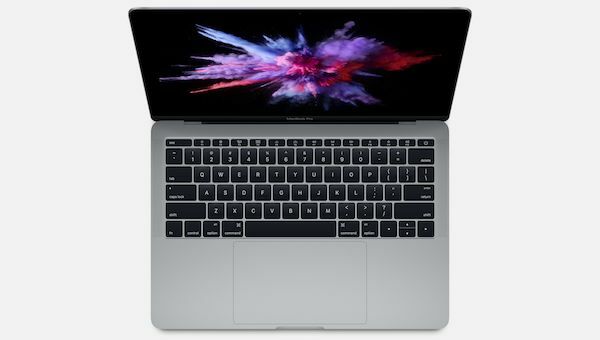 Apple’s flagship MacBook Pro comes in 13 and 15-inch variants, complete with Touch Bar and Touch ID, but this entry-level version of that hardware does not have the luxury of coming equipped with the stunning new Touch Bar and Touch ID that Tim Cook and team have just waxed lyrical about. It does come with the same stunning looks though, similar to the more well-equipped models, and it does come with the same weight and size savings as well that have been widely discussed on stage. The hardware features a 2.0GHz Intel Core i5 processor, with an accompanying 8GB of RAM and an internal 256GB solid-state-drive for extremely fast read and write speeds for storage, as well as two Thunderbolt 3 ports. There is of course the larger, much improved Force Touch trackpad as well, and the integration of the company’s second-generation butterfly mechanism keyboard. So why get this over the MacBook Pro that comes with Touch Bar and Touch ID? Well there might be two reasons for that. One, it’s cheaper at $1499 compared to the Touch Bar/Touch ID model and two, it is available to ship immediately. So if you can’t afford the higher-end model and can’t wait that long for it to ship either, this might be the notebook for you. After all, it almost has the guts and design of the higher-end Pro model, and yet is way powerful and thinner than 13-inch MacBook Air which almost costs the same. I’ll wait for the 13″ with the Touch Bar and Touch ID. Time to upgrade.